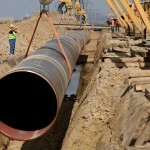 Northern Territory Primary Industry and Resources Minister Paul Kirby announced that AGIG (as AGI Tanami) could now test the fully constructed pipeline under operational conditions. “The Territory Labor Government supports the delivery of job-creating infrastructure, so I am pleased to approve the next stage of works for the Tanami gas pipeline,” Kirby said. 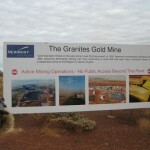 Newmont — which is set to become the world’s largest gold company —recently awarded a four-year engineering, procurement and construction management (EPCM) contract to WorleyParsons to develop the site’s underground infrastructure in this capacity.